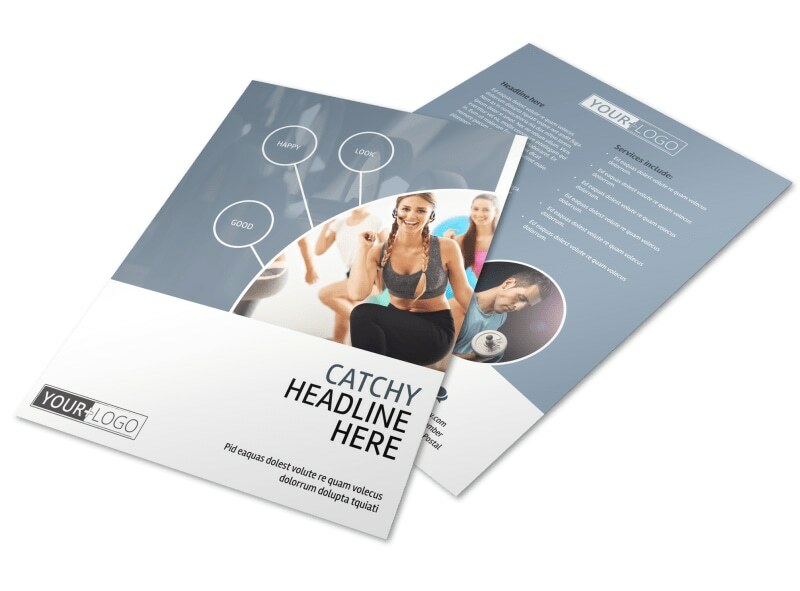 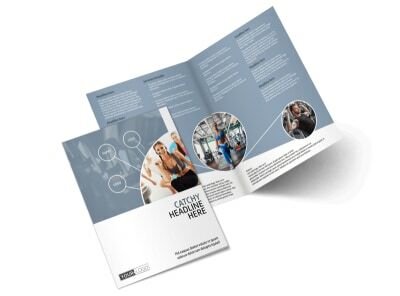 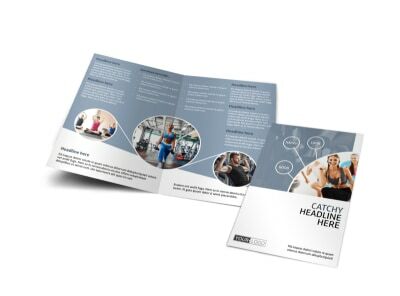 Customize our Get Fit Gym Flyer Template and more! 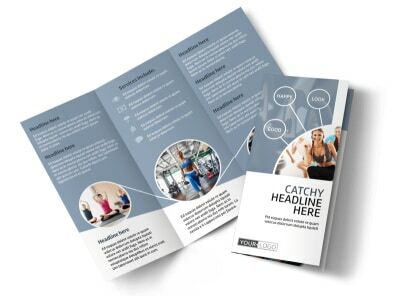 When it's time to firm up and trim down, be there with a flyer that encourages the locals to get fit. 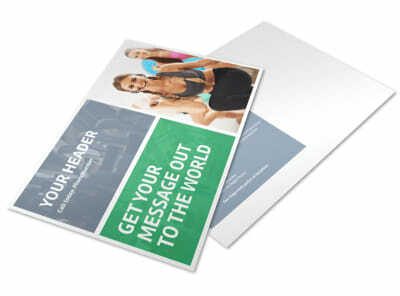 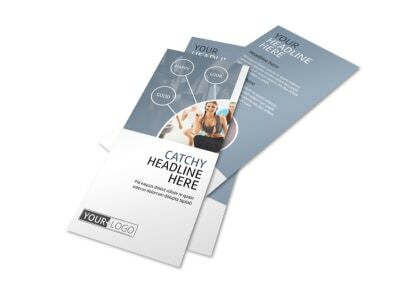 Promote your gym or fitness center with this handsome flyer that you customize yourself using our online editor. 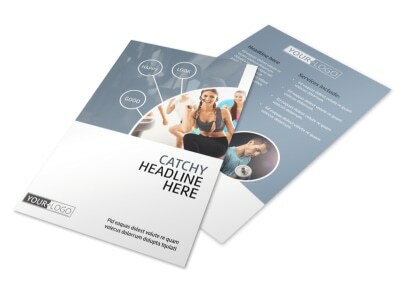 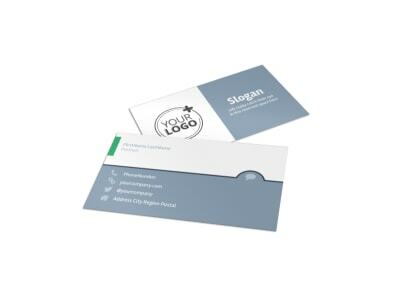 Add graphics and images, and then insert text detailing a special promotion or offer to get them in the door. 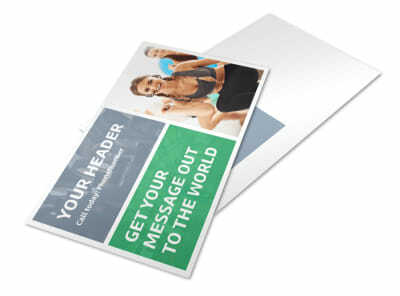 Begin now.